Who says you can't go home again? When you have sold 500 million records, written some of the greatest songs of all time and were a member of the Fab Four, it is a safe bet to say you definitely "Get Back"! Paul McCartney has signed a worldwide recording agreement with Capitol Records, it was announced today by Capitol Music Group (CMG) Chairman & CEO Steve Barnett. "This is genuinely exciting for me," McCartney said. "Not only was Capitol my first U.S. record label, but the first record I ever bought was Gene Vincent's 'Be-Bop-A-Lula' on the Capitol label." This historic contract encompasses McCartney's entire body of post-Beatles work, from his 1970 McCartney album, through his decade with Wings, to the dozens of solo and collaborative works that have continually reaffirmed his standing as the most popular, influential and acclaimed artist in the history of recorded music. In a career that spans six decades, McCartney has sold more than 500 million records worldwide. He was recently named the United Kingdom's most successful albums artist of all time by the Official Albums Chart Company and was knighted by Queen Elizabeth II in 1997 for his services to music. Paul McCartney is the recipient of countless accolades and awards. He is a 21-time Grammy winner, two-time inductee into the Rock And Roll Hall of Fame, an Academy Award winner and honoree of the prestigious Kennedy Center Honors, the Gershwin Prize for Popular Song and France's Légion d'Honneur. Grammy-winning albums as Band On The Run (Best Historical Album, 2012), Kisses On The Bottom (Best Traditional Pop Vocal Album, 2013) and Wings Over America (Best Boxed or Special Limited Edition Package, 2014). 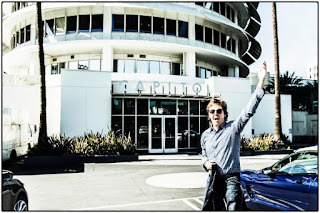 According to Barnett, "Paul McCartney's association with Capitol has long defined so much of our historic legacy, and all of us here are extremely proud and honored that he has chosen to come back home. Paul's indelible contributions to our culture are second to none, and his constant evolution as an artist and performer continues to inspire and enrich the lives of countless millions of people. We are overjoyed that Paul will be creating new music for years to come, and that Capitol will be helping to present it to the world." Lucian Grainge, Chairman and CEO of Universal Music Group, said: "It would be simply impossible to overstate what an honor it is to welcome Paul back to Capitol. It's a homecoming of one of the greatest musical artists of all time to the label that first helped bring his incredible music to the world. Paul's astonishing career has shown no limits -- in creativity, in commercial longevity, and in its impact on people and cultures in every corner of the globe. We are thrilled at both Capitol and UMG to be able to contribute to the next chapter in Paul's extraordinary career." Michele Anthony, UMG's Executive Vice President of U.S. Recorded Music added, "Paul's vital and legendary body of work as a solo artist remains essential, relevant and so highly in demand. We're beyond thrilled at the opportunity to put the global resources of Universal Music behind Paul's forthcoming work, as well as introducing his previous iconic albums to new generations of fans around the world. "